At Saker.Community we anticipated this, and when two of our favorite authors found that Amazon would not handle their books without watering down the message or jumping through hoops, we set about to position ourselves as a indy publisher and a portal for distributing our community members’ books. To this end we have a book buyer registration of almost 800 Sakerites currently and this is growing daily. While the opportunity presents itself, my heartfelt thanks go to the community members that support us in our book sales. 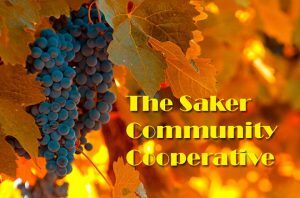 Saker.Community is one of the spin-off Saker sites that continue to carry through The Saker’s message and continue to resist the empire’s war. 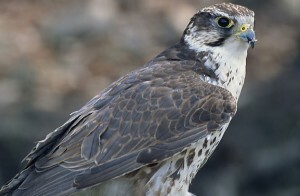 We work closely with the main Saker.is blog, but handle our vision and mission independently. – A publishing service, e-store, shipping and distribution facility to sell our community authors’ books and other worthwhile necessities for life. – In addition, we like to consider ourselves as a space for a hopeful future with a peaceful trajectory for humankind and our slogan is “tending the vineyard”. We mainly, but not exclusively, publish pieces with a “swords into plowshares” theme. We also touch on open source technology – for example, permaculture, peaceful uses of drones, health and food related material. In this way we also resist not only the hegemon’s war on Russia, but the onslaught on humankind itself. We offer an outlet for any creative endeavor by Sakerites. books, your own articles of interest, music, art, alternative community services or even new and innovative health products. On the publishing side, we proudly call ourselves ‘off-Amazon’ which is an apt descriptor that Scott came up with. We offer an alternative to any community author or writer that also wants to be off-amazon, or has the sense that they will never get published or distributed by Amazon and partners, or have been effectively banned by Amazon. In this way, we do our part to *not* feed the empire. You can always find books from authors that The Saker has reviewed in the Saker.Community site. Ramin Mazaheri’s new book I’ll Ruin Everything You Are: Ending Western Propaganda on Red China currently has pride of place. Scott’s literary adventures are front and center and in the last few months, we have published three novels from Auslander with one more pending. Auslander’s novels are really good reads. The novelty of course is that although these are ‘novels’, we don’t know what happened in reality, or what truly is ‘novel’. But, reading them, you will soon make the distinction. Are these Novels, or rather Historical Accounts? Our Movable Cafe commentator Paul Hai’s Rack’s and Pinions Theory on how the pyramids were constructed is available. Kevin presents his music there (have a listen – it is really good) and ioan offers his art as well. The Essential Saker III is almost ready for publication in e-book and paperback form and will be the next available book. Currently we are compiling a collection of some of the best free downloadable books from the internet. No, nothing like the massive internet libraries, but books by various authors and subjects that align with the interests of Saker readers. We have about 200 books gathered so far, ranging from Russian History, to World History to Alternative Health Books to some Strange Stuff and you will start seeing these works for download in the Saker.Community in the coming months. 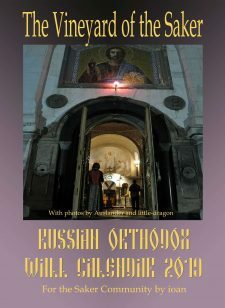 Before we went through the process to become an off-Amazon publisher, we already produced two excellent books on Fundamentals of Orthodoxy available for free download for the History of the Orthodox People’s initiative. Our work method resembles a small community supported Belt and Road system. For example, if we need an artist to help out with illustrations or some cover art, we reach out to our community. If we need a copy editor or proof reader, the call goes out to our community. And community members always come forward and roll up their sleeves. In this way, we support one another and attempt to create livings for all of the desert submariners with a vision of a flourishing vineyard. I’ll buy anything by Andrei Martyanov. Losing Military Supremacy was one of the best books I have ever read. Thanks Saker for the recommendation. The Documented Ancient Construction Method of The Great Pyramid as the top story. This Global media listings site is where journalists find articles for their readers. “The Documented Ancient Construction Method of The Great Pyramid” has been avoided by the people who own and control the mass-media as only Pravda has published and informed. I have been thinking … why ? Could it be that the Great Pyramid was/is “their first temple” and so important that it is permanently illustrated on the one dollar note currency of the USA. Add to this, Ezekiel Chapter One can now be understood and Ezekiel speaks of the need for another temple (two) in later chapters. The time is around 590 BC and what we read in the Old Testament is coded in nonsense (for us) according to Kabbalah formalities. I have concluded that around 590 BC in Babylon, strategies were being hatched and realised that have endured to this present day … strategies that provide deceptions and controls on a global scale. The impetus of what we see today, politically and economically, was sown around 2600 BC with the construction of The Great Pyramid, which involved Hebrews, as the construction method is reported and documented in Ezekiel Chapter One … but first read “Raising Stone 1” to eventually gain the “big picture”. Are there any real journalists reading ? Is there a chance that the historical timelines provided to us by the controllers of our societies were purposefully distorted? In which history is used only as a narrative to justify current, fraudulent systems of governance. Do we really need these controllers? Can we really trust any of these so called “historical” stories? Knowing that Carbone Dating is yet another super expensive fraud, and, as pointed out by Putin, even The Battle of Kulikovo was absolutely not what we were taught by the “historians”. What about languages? 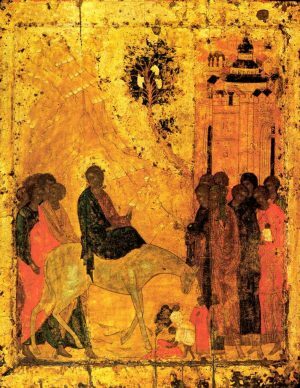 In which Hebrew is not real Hebrew, and many languages were artificially modified to remove some words, sounds and definitions that can accidently provide as with clues and awaken us from the illusion spun by the controllers? P.S I’ll definitely get this book! Please share the article with others via the Pravda Report link provided. Leave a sensible positive comment at Pravda. Share with known journalists if possible … your local newspapers … broadcasters … historians, etc. 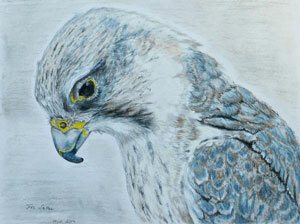 A book sale is also a donation (50%) for “The Saker”. I started writing one cold winter dawn in late March of ’13, why I don’t know, I just sat at the computer and started to type. What started as some random snippets and thoughts turned in to an idea which turned in to a 650 page novel. Now, I knew precisely zero how to work with Word or other composition programs, I just typed. And typed. And typed. No story line, no book outline, no character list, nothing, I just typed. As the story progressed various characters appeared out of nowhere, almost at their whim, and their back stories appeared from their lips and thoughts. My charming and ever patient wife kept me in coffee and food for many months as I typed every early morning and then every evening after the day’s work, and she had the patience and good sense to not disturb me on those days when the words dripped from my fingers so fast it was difficult to type rapidly enough and I could not stop typing. I could never have done these books without her steadfast support. I, I should say we, had to take time off from everything starting in late September of ’13 what with the deteriorating situation up north of our borders (and during these times of turmoil I found Saker) and did not return to typing until early spring of ’15. The tome sat there patiently waiting for me. So here’s me looking at what I wrote in April of ’15 and starting to nose around about publishing, something else I knew nothing about. I found Amazon and started going through the maze of their self publishing format and found that I had to have a ‘book size’. So, what the heck is that? I’m looking at 650 pages of type with spaces between paragraphs, random chapters, odd 11 point font, 1.5 line spacing on 8.5 x 11 pages with one inch margins and such, in other words a mess. How the heck was I to know, I was just typing out thoughts. Amazon also mentioned that a name for the tome would be nice so, since the novel was a love story wrapped in a war, or perhaps a war wrapped in a love story, and concentrated on Spetznaz, I chose a Spetznaz saying for the title. Never The Last One. That is an interesting phrase and has a very significant meaning, to whit, you can kill me, you can kill my Vzvod, you can kill my Rota, but I am never the last one, my Vzvod is never the last one, my Rota is never the last one, and in the end we will kill you. So, long story short, I edited and sorted out the mess and put it on Amazon. How Zon came up with 900 pages I have no idea. Since that time I have honed my ‘editing’ skills a little and gotten advice from some who have become steadfast supporters and friends, most notable of whom are Larchmonter and Saker. The novel is now a smooth read and has some organization to the content. So this novel is published and getting good reviews and here’s me sitting one morning and darned if the fingers didn’t start dripping words again, the result of which is Incident On Simonka, published in late April of ’16. However, there was a fly or two in the ointment. By this time we had had our Russian Spring during which my charming bride and I were very much in the background, but we were and are active with 35th Battery Museum in this berg. As I wrote I had some questions as to what I should write and what I shouldn’t. 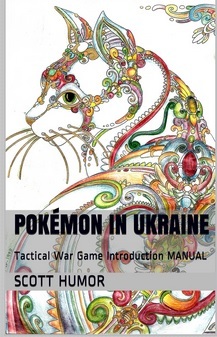 We had a chat couple times with some folks we know and during one of them I mentioned for instance that for this book I was going to used 30th Battery in Lubimovka, just north of us, as the setting for a meeting on the day Russian Spring started and the action in this book commenced, this to deflect any negative publicity for Battery Museum. I was told in no uncertain terms to use 35th Battery Museum as the place for the meeting and to have at it. Other things I asked about, some were approved and some were not. As far as Incident On Simonka goes, there is a lot of truth in the writing but what is true and not true I will never tell. Did we have American Military in this city at that time? Yes. Did they disappear shortly after the day Russian Spring started? Yes. Is there a Simonka Street and Zhakarov Square on north side in Rhadio Gorka Region? Yes. Is there a Baptist Church on Simonka Street right across from a large Russian base? Yes. Is there a ferry landing at Zhakarov Square and is there a ferry Jupiter? Yes. Is there a US ship FFG 42 Klakring? Yes, there was, but he was been taken out of service in late ’13, hence his use in the book. Is this incident true? I have no idea, I write historic fiction but any good writing in that genre has to have enough truth in it to be believable. The readers are free to assume what is fact and what is fiction, I’ll never tell. Next up was Sevastopol, The Third Defense, Book 1, published in February of ’18. Book 2 is well in progress but last year and early this year things were a little rough for us although things are back to normal now. This book is a continuation of Never The Last One as far as main characters are concerned and there are many new characters who have appeared as I wrote. Again it was a case of one day sitting at the computer the fingers starting to drip words. I don’t look a gift horse in the mouth, when the fingers drip, I write. Like Incident On Simonka, there is some truth in this book and the culture and ambiance of village life and the deterioration of life in Odessa is 100% spot on, as is Russian Military Culture. With this book, as with Incident On Simonka, there were things I asked about before I wrote although little of any real import. 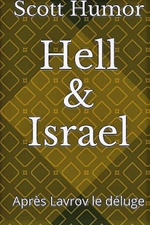 Book 2, which I hope to publish by fall if not before, oh yes, some things have to be asked and some things have been discussed during the writings. So now we have Blue Cloud, published in January of ’18. I needed a break from writing of war and turmoil in ’15, ’16 and ’17 so I took an idea my bride had and wrote it. This book is a vast departure from my other writings and this short story will evolve in the second book as a mystery series. We raise dogs and we are keeping the old blood lines going for the collie breed, and as such we have several and one is a very rare double blue merle girl, Sophia. It is her photo on the cover and she ‘wrote’ the book using a pen name. Writing that little tome was a lot of fun, I actually wrote it as from the eyes of a ‘two leg’ and then edited it to be from the eyes of a collie. This book will be translated, eventually (hint hint), to ‘mirror’ Russian and English, in other words the left page will be Russian, the right page mirrored in English. The story is very pleasant and gentle, no violence and no off colour language, in other words suitable for all ages. Getting these books in to print has been a interesting task, and that is a vast understatement if every there was one. Amarynth with Community and I have been learning the ropes of printing and there has been the inevitable glitches and problems, but very shortly all will be ironed out. Incident On Simonka and Sevastopol, The Third Defense are available in print and E book from Community site, the links are below. Never The Last One and Blue Cloud are on Community site as E books at the moment although Never The Last One is in process of going to print. While Community sometimes has glitches and parts of the posts for my books seem to disappear from time to time, for instance reviews and previews, within another week or two all those problems will be addressed. The books are also available on Amazon as E books and it’s possible they may be available in print there soon, too. Local printing of all four books is moving along rapidly. I received some copies of the first two printed from US but getting them here is a fun job and that, also, is an understatement, ergo all four will be printed here quite soon. Never The Last One will be in hard copy, the other three will be paper back as will be the two upcoming books. The versions for Russia sales are slightly different than the US and EU versions, that difference being only the dedications at the beginning of the books and anyone who knows today’s times should understand that some things can’t be said west of Russian borders, however innocuous and truthful they may be. I intend to have at least Never The Last on ready by Victory Day, 09 May, and with any luck the other three will also be in print here for local distribution by that day. We will meet with the printing house next week and get things rolling. Listed below are all the sites to obtain my books. 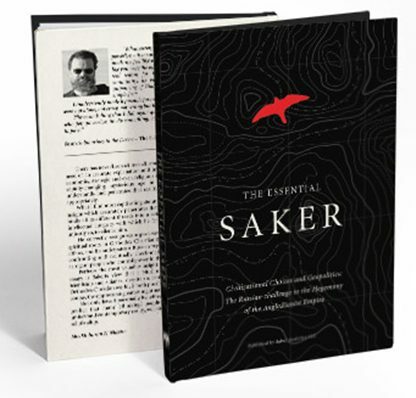 Saker Community is the preferred source, but times being what they are, either source is good. This is a wonderful development. Congratulations! I just ordered Auslander’s three paperback novels. I have been waiting for this a long, long time. Thanks for your great service!!! Hello Sakerites ! 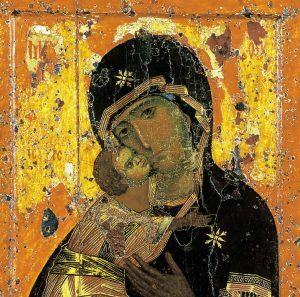 If someone liked the Calendars (Orthodox and both Cafe) please let me know. If someone likes the drawings (Cafe Calendar and horses) and wants the original drawings, please let me know. Without any backing, the chances to publish here any other drawings are slim. I have no idea how many downloads were made since year begin, only what Kent told me between January 1st and March 1st for the Orthodox Calendar (around 3900 downloads). Thank you.